So your church has a new leader there. He seems like a good guy, but he’s extremely charismatic. That’s not necessarily a bad thing. Some people have that kind of personality. The pastor you’ve always had sure seems to listen to him a lot. This guy also has a fascination with miracles. It looks like for him, we’re on the edge of a great precipice. We’re at an age where something great is going to happen and it’s going to depend on us. We need to be doing the work of the Spirit here displayed in miracles. This is a miracle age. And his word seems to be taken extremely seriously. Everything that he says is taken as gospel. He doesn’t really like to be questioned. Not only that, he’s not just at your church. He’s at several churches around you. It’s like he has this power over all of them. He tells people how to spend their finances and what to do with education and what to do about marriage. Maybe in that last area, there could even be hints of impropriety. Ever since this guy came to your church, it looks like your church is about something else instead of preaching the gospel of Christ. It could be that your church has fallen victim to the New Apostolic Reformation. (NAR) This is a group of people insisting that they are apostles and that apostles are for today and your church cannot be in the fullness of faith without an apostle. There will also likely be prophets coming along for the ride as well encouraging the people in what they ought to do and not do. Unfortunately, this is not harmless. There are plenty of people that have had their lives wrecked because they sat under the guidance of these people and their voice was treated as the voice of God. Fortunately, two people have done the work of equipping us to deal with them. They are Holly Pivec and Douglas Geivett. I don’t have the information for Geivett yet, but I can tell you about Pivec. 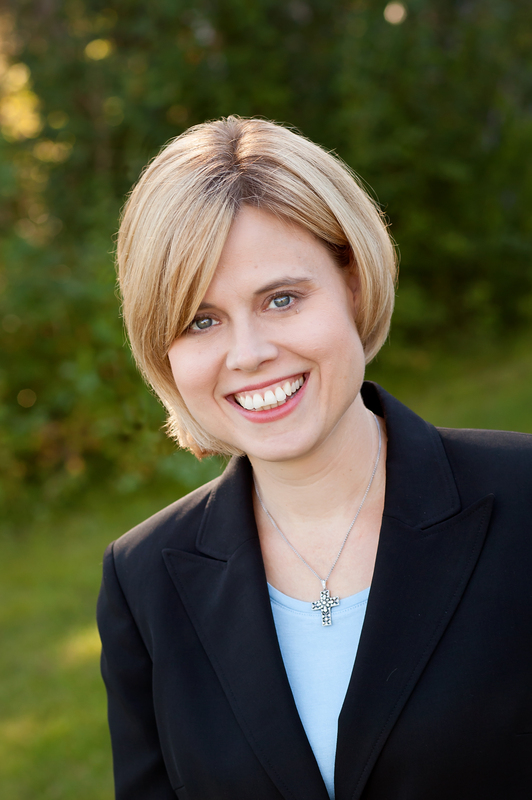 Holly Pivec is co-author with Doug Geivett of two books on the New Apostolic Reformation or NAR, for short. She operates a popular blog on NAR, called Spirit of Error (www.spiritoferror.org). She’s a sought-after expert on NAR and has been interviewed by many high-profile media sources, including Religion News Association and the Washington Post. She has a master’s degree in Christian apologetics from Biola University. We’ll be talking about this movement that has affected so many churches in America and around the world and what can be done about it. How do you know if your church has been affected by it and if so, what can you do about it? I hope you’ll be listening to the next episode of the Deeper Waters Podcast on this topic. As always, please go on iTunes also and leave a positive review for the Deeper Waters Podcast. Is Nabeel Qureshi someone that we should avoid? Let’s plunge into the Deeper Waters and find out. I have seen N.T. Wright described as an unsound theologian because he’s an egalitarian and he baptizes babies. I have seen it said that William Lane Craig made a point in a debate just because he was trying to win a debate. In fact, he has even gone after myself on my view of Heaven and Hell (Or at least one I am open to) is plainly heretical. When my wife later (Much later since we didn’t want to make an issue out of it really as I can’t make an issue of everyone who says anything to me on Facebook) confronted him on this, he did back it. This would work if universalism was my view. It is not. Not everyone will be saved. Unfortunately, Dunn still sees Heaven and Hell as they have to be separate locations and pushes that on my what I say. No. My view there was that the same sun that melts wax hardens clay. Those who have lived lives of righteousness will be in the presence of God forever and think this is Heaven because they have loved God and being with the one they love is a delight. Those who have not and have rejected Jesus will live forever there as well and will consider it hell because they have hated God. I do not see any redemption either for them at that point. Heaven and Hell are not defined by a location (Since God is omnipresent) but are defined by relationship to God. Universalism is the view that all will be redeemed. That is not my view. But hey, why make a big deal out of it? I had seen Dunn write many times on Facebook and every single time it was all about how some group isn’t really Christian or something along those lines. It reminds me of the Christians who want to say that every new game craze or fad that comes out is somehow satanic. After awhile, you just don’t listen any more. There are better usages of time. Then I saw David Wood came out with that video. I was frankly surprised. Why is David Wood spending so much time on this? In fact, this is a nearly 40-minute video. I hadn’t seen a video that long from David Wood, at least in recent history, aside from something like a debate of course. Why do this? For one thing, Pulpit and Pen is a prominent blog for some reason. Second, Dunn has actually been nominated for president of the SBC. It looks like this won’t happen at least this time around, but that shows me this is more serious than I thought. I should also point out that I happen to know David Wood and Nabeel Qureshi personally. At this point, I don’t think I have got to meet David Wood in person yet, though I would be delighted to someday. The same can’t be said for Qureshi. We’ve had a number of interactions together and his character and commitment to Christ has always been an amazement to me. Both of these men have also been on my show. According to Dunn, one of the first problems with Qureshi is that he spoke at Reset 2016. Of course, Pulpit and Pen did have something else to say. Someone else on the site said that the event was shut down due to intense heat. This was a judgment of God. I wish I was, but I am not. Of course, by these standards, when the Reason Rally is not shut down, does this mean that God is pleased with them? I figured we were supposed to be interpreting the work of God by Scripture.Who knew that we could do it by watching the Weather Channel? So why is this event so problematic? Because Dunn thinks that there were too many people there who were enemies of the cross. Now do I approve of all the speakers there? No. At the same time, I’m nowhere near as extreme as Dunn is where everyone must have their theology right in every single area or we seriously call them into question. I disagree with Roman Catholics, but I do not think they are all lost. There are lost Roman Catholics just as much as there are lost Baptists, Methodists, Presbyterians, Lutherans, etc. Still, Dunn thinks that by speaking here, Qureshi has made himself be seen as questionable. After all, it’s hard to imagine that because Qureshi goes out and speaks about Jesus to a million people that somehow he should be viewed with suspicion. Let’s remember that our Lord was seen as a friend of tax collectors and prostitute and the group of twelve men he surrounded himself with did not include theologians who had all their i’s dotted and their t’s crossed. However, Dunn is not done yet. There is another suspicion brought to light by a Muslim apologist named Yahya Snow. I had not really heard of Snow. Still, I have known that in many cases, Muslim apologetics can be some of the worst apologetics that there is. I would even put it below the new atheists. I have seen some of the most bizarre arguments brought forward, such as the time a Muslim even accused me of thinking that Joseph was 90 when he married Mary. This was news to me since I had never once believed anything like that. David Wood said that while there are respectable Muslim scholars, such as Shabir Ally, Snow is not one of those. In fact, Snow can be considered the worst of the worst. At least, that was the way it sounded to me when he described someone else as an example of someone who could not be beat for how bad his arguments were until Snow came along. This guy then, is the one Dunn relies on for his claim. What is the claim? There is a great inconsistency in the story of Nabeel Qureshi of how he became a Christian. You see, Qureshi had dreams that played an instrumental view in his conversion. Yet here’s the problem. In an interview, Qureshi said that David Wood was sitting at the other end of the doorway. In yet another case, he was standing. There you have it! It’s the smoking gun! Unfortunately, Wood points out that Qureshi called him and told him about the dream and that Qureshi wrote it down in his dream journal. So did Qureshi slip up? Yes. This can happen. Wood even plays a clip of William Lane Craig saying that 2 + 2 = 5 is a necessary truth. Are we to say that Craig doesn’t know what basic math any more is? No. Sometimes, we can all slip up when we speak. More on this later. The next point is that Qureshi has questionable credentials as a Muslim. Qureshi was an Ahmedi Muslim. They are often viewed by fellow Muslims as non-Muslims. As Wood points out, the Ahmedi do have some odd beliefs, but Qureshi held to everything you were supposed to believe as a Muslim. Since Dunn in his article refers to James White who he says is a Christian apologist and an expert in Islam agrees on that point, then perhaps he should hear what James White says from the 1:40:00 point on in this video. White doesn’t deny that Qureshi was a Muslim and in fact he says that while he disagrees with Qureshi’s stances, including on Roman Catholicism, that Qureshi is a gift to the church. He just thinks that Qureshi should describe himself as a devout Ahmedi Muslim. There could be truth to that. Wood’s video is worth watching in the whole, but it was said last night that Dunn had written a response. I have looked at this response. Now I think it would have been better to accept the correction and move on, but that is not what happened. The counter can be found here. So what does Dunn say in response? Wood defends Qureshi’s speaking engagement at Reset 2016, comparing the event to an atheist “reason rally” or a gathering of hostile Muslims. This is an inappropriate comparison. Reset was not the Areopagus. Reset 2016 was advertised by its promoters as a Christian event where “we are gathering as one—lifting a unified sound, asking Jesus to reset our generation.” Reset was not a gathering of hostile atheists or Muslims but (nominal) Christians who came for miles to be unified with one another and pray to Jesus. This was not a Billy Graham crusade designed to see people saved, it was a Christian “unity” event that included the Pope of Rome. It took no Christian boldness to show up to the event and draw applause from the crowd. It would have been bold of Qureshi to separate his Jesus from the indeterminate amount of false Jesuses parading around at this event, rebuking those who followed them, and calling them to repentance and faith. This might make sense if you’re caught in the idea of discernment ministries where you’re supposed to know who is and isn’t a heretic, but I think Wood’s answer still stands. Qureshi was asked to come and share something about Jesus to a million people. He jumped at the chance. I also suspect, and Qureshi could tell me if I’m wrong, that he would do what any preacher does most every Sunday. A preacher always is aware that there could be non-Christians in his audience. He ends most of his sermons with a call to the Gospel. So again, let’s see. Is Nabeel to be viewed with suspicion because he went and talked to a million people about Jesus? That’s an odd basis for suspicion. Maybe not specifically, but one could draw a valid inference. For instance, after Dunn gives a warning in his original article about speakers at a conference and how Christians should be careful, he points to Scripture. What Scripture? This one. Of course, I don’t think Qureshi would disagree with this. He would definitely think the Gospel is more reliable, but that does not mean Qureshi is going to discount his dreams any more than I’m going to discount some of the best scholarship that defends the resurrection of Jesus. Does that mean the scholarship is more reliable than the Gospel? Not at all. Dunn may not use the words, but the idea is there. If you keep crying wolf over and over, people will not listen when real wolves show up. Wood’s video does not accurately represent my view of Qureshi’s former faith. I did not assert that Nabeel Qureshi was not a Muslim. I asserted that his Islamic credentials were “in question” given that he was of the Ahmadi sect. This is simply a statement of fact, given that there are a number of Muslims who claim that Ahmadi’s are not true Muslims. Given that Islam, on the whole, is a false religion, it’s tough to say exactly what “true” Islam is. One must rely on various opinions. Since I am not an expert on the matter, I cited the opinions of Muslim apologist Yahya Snow and well-respected Christian Apologist James White. David Wood, who is knowledgeable on the subject does not agree with Snow or White. Wood’s assessment is very educational but not terribly relevant to my argument. My modest assertion that Qureshi’s Islamic credentials are “in question” stands. That Qureshi was raised a devout Ahmadi is not in question, nor did my article indicate that it was. And Wood accurately answers this. Qureshi held to all the essential beliefs it requires to be a Muslim. Dunn thinks that since Islam is a false religion, it’s difficult to know what a true Muslim is. Why? I think Mormonism is a false religion, but that does not mean that I don’t know that there are beliefs that Mormons see as non-negotiable. The same with Jehovah’s Witnesses. Dunn points to White, but again, White is the one who sees Qureshi as a gift to the church. Perhaps Dunn should send his article to White so that White can see the error of his ways and chance his view on Qureshi. Wood points out that even the best of speakers misspeak. This is true. I have done it numerous times on my own podcast in egregious ways. I’ve never done it on professionally produced and edited television program while telling about a seminal event in my life, however. I’ve also never done it with Pat Robertson on The 700 Club. Whatever the case, Wood provides testimony to corroborate Qureshi’s dream story and admits that Qureshi just made a mistake. This is fine and I’m glad the air has been cleared on this issue. This is the kind of thing that just astounds me. Dunn admits that we all make mistakes, but then he says “I’ve never done it while talking about a seminal event in my life or on the 700 Club.” At this, I just want to say “Good for you.” Unfortunately, others do make mistakes in these arenas for a number of reasons. If Craig can be on stage saying 2 + 2 = 5, then I am much more open to this happening. It would have been better for Dunn to just let this slide instead of still pushing it forward. Dunn goes on to talk about Ravi Zacharias, whose minsitry Qureshi works for, speaking to Joyce Meyer as a great Bible teacher. I’m not here to defend Zacharias in that. I do not think Meyer is a great Bible teacher at all. Dunn goes on to say that Qureshi had never heard of her. Good for him. Qureshi was able to enter into a dialogue with Seth on the matter. Is Qureshi right in his assessment? I don’t know, but I know this. Qureshi was willing to look. Of course, things get worse. Qureshi actually said the Roman Catholic Church gets a bad rap from Christians. Dunn is sure many Calvinists would disagree. So am I. There are many of us who disagree with Calvinists as well. Why is it that the Calvinists should be seen as the ones that set the bar? I certainly don’t want Pulpit & Pen to be an echo chamber but I understand the readership and the theological leanings of the readership of my own blog. The Pulpit & Pen has a largely Reformed readership. To our average reader, these statements about brotherhood with Roman Catholics are downright offensive. As David Wood notes in his video, Qureshi has studied the Christian faith from California to Kentucky and beyond, at the postgraduate level. How could any educated Protestant theologian not see Roman Catholicism as something to “cut ties” over? Thank God Luther did. Luther put his life one the line to refute the Pope. Qureshi speaks with him. There are almost certainly regenerate Catholics (who have yet to leave the Roman Catholic Church) but official Catholic doctrine (see Galatians 1 and the Council of Trent) is anathema. Qureshi seems to disagree. Perhaps we don’t see it that way because we see that we agree on the resurrection of Jesus, the Trinity, the deity of Christ, etc. Do I think RCCs have some wrong views on salvation. Yes. I think in fact a lot of Christians do and God saves them regardless. Dunn says he finds Qureshi’s comments offensive. Well I find it offensive to take someone who White has said is a gift to the church and try to tear them down. Still, there is worse coming along these lines. As you can see, some of the tweets above are months, even over a year, old. 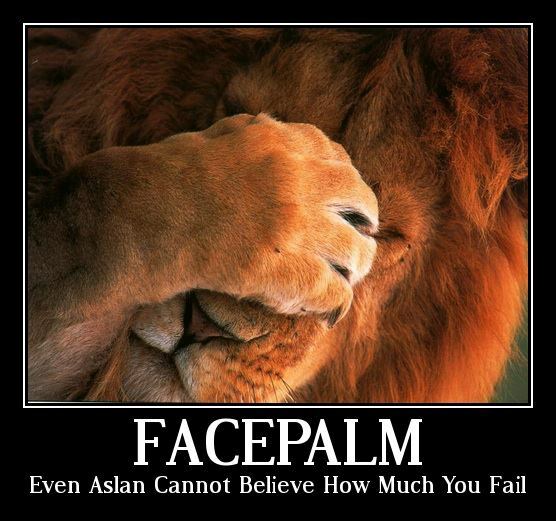 I did not just happenacross a video from a Muslim apologist (one David Wood has a history with) and try to discredit Nabeel Qureshi and write an ill-advised, critical blog based on his assertions. I’ve observed Qureshi for over a year, as well as his employer RZIM. To me, he seems more concerned with being a New York Times Bestseller (Roman Catholic buy Christian books, too) than consistently rightly dividing the word of God. The evidence is in print before you. I know Qureshi as I said. His character has always struck me as exemplary. Wood pointed out that Qureshi lost his family as a result of his conversion. In Qureshi’s own book, he said he wished he could have died right after converting so his parents would never know about it. I have seen him be asked about how he can talk to Muslims when so many of us get so angry about them based on events like 9/11 and he said that he always tries to remember that anyone of them could be someone like Paul someday. Every night before I go to bed, I read a verse of Scripture. I let that be something I think about as I go to sleep. Last night, I read Philippians 3:17 as I’m going through Philippians. I got to this verse. I thought that was amazing. Paul could tell others “Live like I do. I am your model.” I honestly do not think I am ready to say that about myself yet. I also thought that if anyone was like that, it was Nabeel. This is someone who Wood points out was willing to go to jail with him for preaching the Gospel and continued to do so in prison. Yet Dunn says Qureshi seems more concerned with writing bestsellers, since Roman Catholics buy those as well, than rightly dividing the Word of God. No. Qureshi is just a good writer and people like his books. For Dunn’s sake, should Qureshi try to make his books be not as good so they won’t sell as much? I don’t blame David Wood for defending him. They are good friends and he has seen Nabeel witness to people. Good for him. I wouldn’t walk across the street to hear him speak. He’s a book-selling, speaking-tour ecumenist. I don’t know Nabeel Qureshi’s heart but I don’t write blogs or study Apologetics at the masters level to sell books or make money–I do it to edify the church. I think the church would be edified to avoid ecumenists like Nabeel Qureshi, no matter how interesting their backstories are. It’s nice to know Dunn’s standards and I think in this passage he’s told us a lot more about himself than he does about Qureshi. Well Dunn can stay in his echochamber and refuse to listen to Qureshi and think that gives him bonus points or something, but I consider it a treat to get to hear Qureshi speak. He also says he doesn’t know Qureshi’s heart, which he doesn’t, but somehow he knows that Qureshi writes blogs and studies at the Master’s level to sell books or make money, instead of edifying the church, which is obviously what Dunn does. I am nowhere near wealthy. In fact, I am at the poverty level. I don’t do what I do to make money. Would I like to have more coming in? Yep. Would I like to have a best seller some day? Who wouldn’t? Still, the recognition I get will be based on the quality of my work and the apologetic material that I produce. If I was just wanting to make money, I would be in a different field altogether. I’m not because frankly, I have a passion for this field. I love the fruit that it produces and what I do gives me great joy. You see, if you’re going to say you don’t know Qureshi’s heart, stop right there then. Don’t go on to say why he does what he does. You don’t know. The writing ends with some points including that David Wood can have at it if he wants another round. I wouldn’t be surprised if he does. David Wood is a bulldog of sorts and he will definitely stick up for someone like Qureshi. I also plan to be right there as Qureshi is my friend and I think writings like those of Dunn in fact tear down Christians needlessly. We’ll see what happens after this but Qureshi is a friend of mine and I choose to stand by him. I would uphold him as a fine example of what we should all strive to be. I do not agree with him on everything, but I think his character and commitment are examples to us all. What remains of the past? One of the fields we go to to study this is archaeology. What have past civilizations left behind so that we can learn about them? What has been left behind that can tell us about Jesus? As it turns out, quite a bit. If we’re talking about this, we need to talk to someone who is quite familiar with the archaeology and knows it incredibly well. 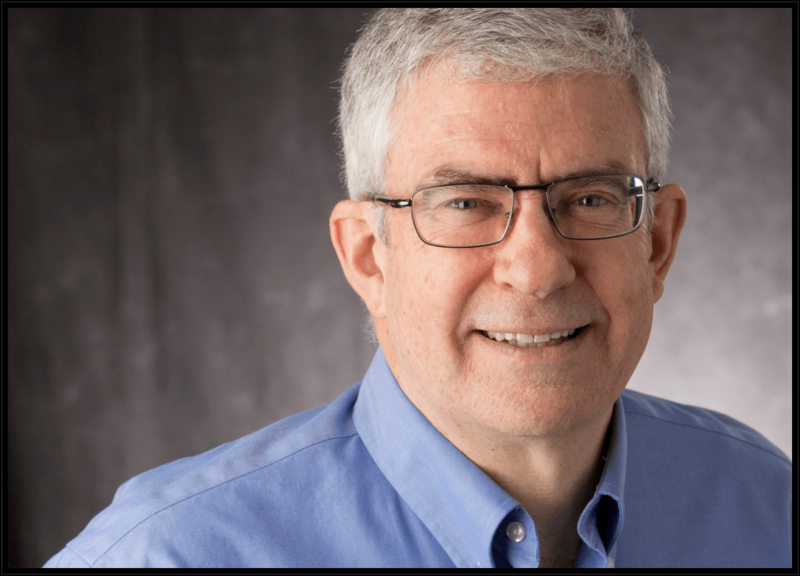 Who better to talk about this than Dr. Craig Evans? Craig A. Evans earned his Ph.D. in biblical studies at Claremont Graduate University and received his decretum habilitationis from Budapest. 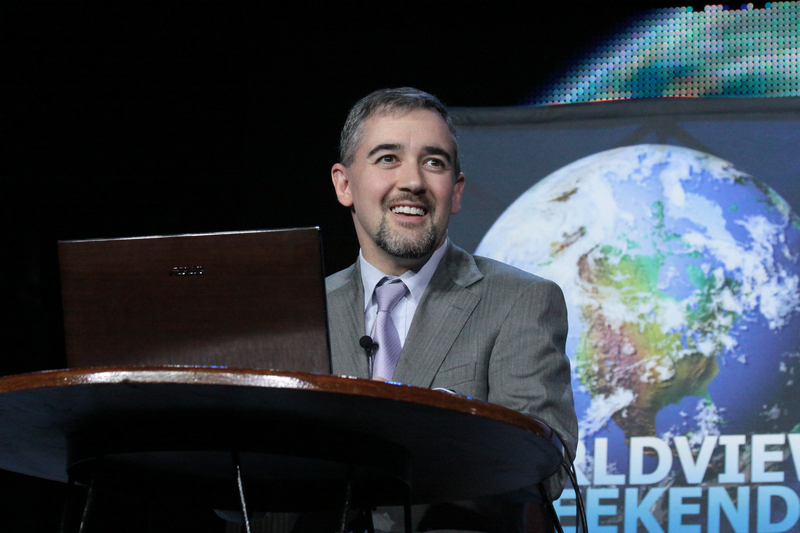 He is the John Bisagno Distinguished Professor of Christian Origins at Houston Baptist University in Texas. He is author of hundreds of articles and reviews and has published more than seventy books, including Jesus and His Contemporaries, Ancient Texts for New Testament Studies, Mark in the Word Biblical Commentary, Fabricating Jesus: How Modern Scholars Distort the Gospels, God Speaks, and Jesus and the Remains of His Days: Studies in Jesus and Archaeology. He also co-authored with N. T. Wright Jesus, the Final Days. Professor Evans has given lectures at Cambridge, Durham, Oxford, Yale, and other universities, colleges, seminaries, and museums, such as the Field Museum in Chicago and the Canadian Museum of Civilization in Ottawa. He also regularly lectures and gives talks at popular conferences and retreats on the Bible and Archaeology, and Jesus and the Dead Sea Scrolls. Evans has appeared many times in television programs on History Channel, BBC, Dateline NBC, and others. Dr. Evans served as consultant on the National Geographic Society’s Gospel of Judas project and for The Bible television miniseries produced by Mark Burnett and Roma Downey. He also participates annually in archeological digs in the Middle East and volunteer-teaches at schools world-wide. Professor Evans and his wife Ginny live in Sugar Land, Texas, and have two grown daughters and a grandson. We’ll be having an hour-long show talking about his book Jesus and the Remains of His Day. We’ll be asking about questions that come up such as if there were really synagogues around at the time of Jesus. What about Nazareth? People like Rene Salm have made the argument that Nazareth never existed. Is he right? What about the burial of Jesus? Bart Ehrman has recently come out saying that Jesus was not given a burial along the lines of those described in the New Testament. Is he right? Dr. Evans is a brilliant speaker on these topics and you will benefit greatly from hearing of the fruits of his labor in this field. I’m excited to have him come back for the second time to our show. I hope you’ll be listening to this episode and please also do consider going on ITunes and leaving a positive review of the Deeper Waters Podcast. I always enjoy reading them. Thanks for being a fan! We live in a world full of hucksters. There are always people trying to trick someone and sadly, faith is one of the ways they do it. We also live in a world of experiences where if someone has an experience, they can use that to lord over others or get their fifteen minutes of fame. The stores are constantly full of stories about people who have had trips to Heaven. While I do not deny the validity of NDEs, I do get suspicious of the guided tours of the after-death. Others have got so suspicious that it has led to this hilarious Babylon Bee satire article and we all know about what children report seeing when they come back. Justin received a Master of Divinity with Biblical languages from Southwestern Baptist Theological Seminary in 2000. He also received a Master of Theology with minor in New Testament from Southwestern Baptist Theological Seminary, 2002. Not only this, Justin has a specific interest in the Word of Faith movement due to his life with disability, something I can resonate with. I happen to be one who has a steel rod on my spine due to scoliosis surgery. I also have Aspergers as does my wife Allie. Disability awareness is something important to me and I do get angry about people who are known frauds trying to trick those who are disabled. Of course, Justin and I both believe that miracles are happening today, but how can we develop discernment? Are we not calling into question God when we don’t “have faith” that he can heal? If we see a claim, are there any signs we can look for that could differentiate a true miracle from someone who is a fake? What can we do to help our brothers and sisters who are falling for the tricks of those in the Word of Faith movement? I’m looking forward to this talk with someone else who shares not just my last name, but also my care for those who are disabled and a passion for truth. As a former worker at CRI, I have seen the damage of the Word of Faith community. I hope you will be listening in to this episode of the Deeper Waters Podcast. Anybody Catch That Last Apocalypse? How was the latest global event for you? Let’s plunge into the Deeper Waters and find out. Thank you Joe Pags for participating in our “Four Blood Moons” projects, and for helping us to share this great message that something is about to change! God is sending a message that (even though no man knows the day nor the hour) we need to prepare for Jesus’ return. We need to live a righteous life as unto the Lord. One would think the Almighty would have planned these kinds of events better and would have also thought that an event like the destruction of Jerusalem in 70 A.D. or the Holocaust would be worth something, but alas, apparently not. We can be confident that two people will not be bothered by nothing happening with the blood moons. The first will be John Hagee himself. The second will be his followers. Even today if you go to the page, you can see plenty of them. The fact that this caused so much excitement in the Christian church really shows that we have a great case of Biblical illiteracy going on. While I certainly agree with Hagee that we need to be living righteous lives, part of that righteousness would be owning up to the mistakes that you make and especially so if you have a loudspeaker to what you say and proclaim yourself to speak what you think Scripture says. Events like this only give further credibility to the idea that Christians are gullible and will believe anything that comes along and if we give that kind of impression to people, why on Earth should we think that they will treat the Gospel of Christ seriously? 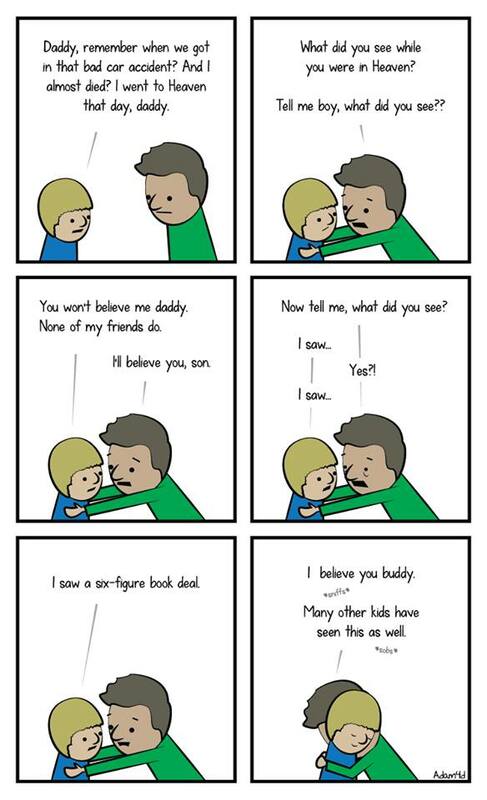 Of course you believe that story! You also believed in blood moons because someone on TV said it. So here’s my bizarre pipe dream. I have this hope that Christians will really drop their end times madness. I get tired of hearing constantly that we all know we’re living in the last days and that the end of the world is coming and we are that generation. Every other generation has been wrong, but we are the exception! The good thing is these end times people can be disproven pretty quickly as they don’t usually make predictions about events hundreds of years from now, but rather events due to happen soon. The bad part is that when they are disproven, no one calls them to repentance and they keep going. I have said before it must be nice to be a prophecy expert. You can write whatever you want and just say it’s in the Bible by whatever bizarre hermeneutic you want, you can be taken as a serious authority, sell books all around the world and be a bestseller, be absolutely wrong in all you say, and yet you still qualify as an expert. Second, I have a dream of Christians being experts in other areas. I meet so many Christians who say they want to study end times prophecy and know all about that. How rarely do I meet Christians who want to say “I want to learn all I can about the Trinity.” One reason is end times prophecy is often about us and we love ourselves. We love thinking that we are so special as a chosen generation. The Trinity is not about ourselves. Oh it has implications for us of course, but it is largely about God. Of course, if one wants to study end times prophecy, go ahead, but please make sure it does not take the place of more important doctrines. If you know all about end times prophecy and have your charts and graphs of Revelation and Daniel all filled out, but you have no clue how to argue Jesus rose from the dead, there’s a problem. Third, let’s hold our leaders accountable. We would want them to be held accountable if they spent money we donated in tithes in a wrong way. We would want them to be accountable if they were caught in sexual misconduct. Yet people spread untruths about Scripture on a serious level that produces embarrassment for the church as a whole and we don’t want to do anything? Hagee’s book has the subtitle of “Something’s About To Change.” What that something should include is the fact that he is still broadcast on television and that he still has a leadership position in the body of Christ. As many of us predicted, nothing happened with the latest fit of end times madness, except for the usual. Christians ended up looking foolish to the rest of the world. Let’s start holding up our speakers and leaders as accountable and even making sure we’re careful about who we choose to have those positions. The credibility of the Gospel is at stake. Posted on 28th September 2015 Author Nick PetersCategories Apologetics, Eschatology, General Christian Teachings, Popular TeachersTags blood moons, end times, Four Blood Moons, hysteria, John Hagee, Resurrection, Scripture, TrinityLeave a comment on Anybody Catch That Last Apocalypse? Is being forbidden to take up a serpent religious persecution? Let’s talk about it on Deeper Waters. Here in TN, some of the big news lately has involved Andrew Hamblin and his snake handling. I have written previously on that here and here. As I live in Knoxville, I see much of this being talked about and frankly, I am concerned. I am concerned at seeing a church where most people are not learning how to think and the great danger that anyone can say “God moved me” or “God told me” and that justifies anything. This is not to say that God cannot tell people to do things. He’s God. If He wants to, He will, but one needs to have a way in mind to know that it is indeed God speaking. Without that, one has no basis upon which to say someone is being moved by God or instructed by Him and someone else isn’t. We put ourselves in a dangerous position if we seek to put a divine source behind our feelings. Yet I see people in fact making such a claim. “If God tells someone to take up a serpent, who are we to disagree? Who are we to judge?” One wonders if we can say that if God tells someone to drown their children in a bath tub, who are we to disagree? Who are we to judge? If God tells someone to go on a shooting spree for Allah, who are we to disagree, who are we to judge? Who we are are rational people that claim to know the God of the universe. The reality is if you are a Christian, you claim to know something about what God is like. You claim to know that God has revealed Himself in Christ and that God also will not contradict His nature. (And if you do not know this, then I urge you to educate yourself on the nature of Christianity. One of the best books you can get and still one for the layman as well can be found here. If you’re someone who says “I’m not going to judge,” in some ways, you are already judging. Now there is a point to saying “I’m not going to speak yet because I haven’t looked into the issue,” and that’s fine. For me, the issue is clear, but to you if it isn’t, I have no problem with you going out and looking into it and coming back and making a judgment. The problem comes when you say “I can’t judge and neither should you. No one can speak on this matter.” You’ve already made a statement that maybe this isn’t God at work, but at the same time, this doesn’t contradict the work of God either. What you are claiming is that the behavior is entirely consistent with the nature of God. That’s quite a judgment isn’t it? In our world today, the church views judge as a dirty word. It’s not. Matthew 7:1 does not say “Don’t ever judge.” It says to not judge hypocritically. Watch your standard of judgment. That’s what you will be judged by. If your standard of judgment is Scripture, then you must also be held to that same Scripture. So when it comes to taking up venomous snakes in church, if you say no one can judge, you are in fact saying that this is consistent with God. We have no way of knowing if God is or is not telling people to not take up those kinds of snakes. In wanting to avoid judging, you make a most severe judgment. Now another claim being made also is that this is persecution and we need to remember the separation of church and state. It’s so funny because usually Christians are the ones arguing against separation of church and state. Properly understood, it is a position I hold to. I in no way want to have the state married to Christianity. The problem is this is not a separation of church and state issue. This is an issue of public safety and the law against holding venomous snakes like that is there for the safety of the public. It is not an arbitrary law without a moral basis. If one thinks it is, they simply need to come up with a reason why first off, the state should not care about people being able to take up venomous snakes, second, why they should drop the old law, and then third why they should in fact promote the churches that want to do this. Until that is done, this is not the state trying to persecute. How do I know some of this? Well I did something that I guess shouldn’t be done in finding out such information. I contacted the TWRA (Tennessee Wildlife Resources Agency) myself. Yeah. I’m sure that’s terribly unorthodox. They could not comment on the case itself, which is understandable, but they could answer my questions on the snakes. In fact, my wife and I went to the free zoo day at the Knoxville Zoo and I spoke to someone in the office of herpetology (Which includes the study of snakes). Both references showed me the dangers of these serpents. They are class I, the most dangerous class, for a reason. Their bites could lead to amputations by damaging blood cells and nerve cells and in some cases, could lead to death. This would be especially so for the children and for the elderly. To be able to handle these snakes, one must be a trained professional. My own wife as I said would like to have a fox someday, a class III animal, and she would require certification. In fact, the Knoxville Zoo has even said that there were 53 snakes in Hamblin’s possession and some of them were in bad condition. Having just one snake would be a huge responsibility in itself, but how could one possibly care for 53 snakes? I do not even think I saw 53 snakes that day at the zoo. No doubt, they don’t keep all the snakes out, but if it takes a place like a zoo to care for that many snakes, how can a single church building do it? If these snakes aren’t being cared for, then who knows what will happen if they get out and are hungry? This includes snakes like boa constrictors. Boa constrictors are indeed capable of killing children and would be more likely to do so I’m sure if especially hungry. Now some people are comparing this to anointing oil or a King James Bible. If the state makes a law against these without a rational basis, and I contend that there isn’t one, then indeed it is an unjust law and one we are not obligated to obey, but the law against venomous snakes does have a rational basis and if we choose to defy it, we are actually acting out of pride and saying we are above the law. So on what grounds could we argue against Muslims who want to claim the same in the name of Allah? As for persecution, this is not persecution. Too often Christians in America are way too quick to scream “Persecution!” If someone dares to insult Christianity, we cry out that persecution has taken place. Being offended is not the same as being persecuted. Being mocked is not the same as being persecuted. If you want to hear about real persecution, just listen to stories of Christians in Muslim or communist countries. In these places, you can be killed for owning a Bible. To take the name of Christ on your lips is to put yourself in the eye of the government as a target. Don’t count on them to defend you. They are opposed to you. This was in fact the position of the early Christians. If we look at what we go through and say that it is just what they went through, we are disgracing our brothers and sisters in the world who are undergoing real suffering on behalf of Jesus. We should all be humble in the face of that. Now I am open to the possibility that that persecution will come. I think we’ve opened ourselves up to it by refusing to stand up for Christ. Should my time come, I hope I would be ready to die for Christ. I’d like to say I would do so with certainty, but the example of Peter in Scripture makes me hesitant to do so. It is easy to talk, but when reality comes, let us hope our actions will be in accordance and for readers, pray for me that they would be if the time came. What we need to ask ourselves in the church is if the taking up of snakes is really what we want to make our rallying case. Do we want to say that God supports or encourages this or sees it as something that should be done? We’re making a statement either way. If you want to support, do something to support those Christians who are really suffering persecution elsewhere. Do something to support the work of spreading the gospel more and more. Don’t just support prayerfully and financially, but give of yourself in the work. Be willing to put yourself out there where you can. In the body of Christ, we all have different roles to play. Mine’s that of Christian apologetics. This is what God used to open me up to the reality of who He is after all. It brings me great joy to defend Christianity and to help people who are struggling with their doubts. This happens not only on this blog, but in private emails that come in regularly. But you know what? Not everyone is meant to do this. Now I think every Christian is to have a basic apologetic. Every Christian should be able to make some case for the resurrection of Jesus. Not every Christian is to be a scholar and that is the difference. We need scholars who are Christians, but we don’t need all Christians to be scholars. We need Christians who are doctors. We need them who are teachers. We need them who are astronomers and scientists and garbage pick-up men and plumbers and CEO’s and most anything else. We need Christians who can witness to someone on the street and Christians who do so through the means of the computer. We need Christians who work in soup kitchens and with the sick and homeless and those in need and we need Christians who are in the classroom teaching the next generation. We need all of them. We have to watch ourselves by what we support for that is what the world sees. They need to know that we are devoted to Christ and we take a representation of Him seriously and any attacks that come against him just as seriously and realize that not all battles are divine battles just because they involve a Christian. Many of you out there are concerned about the state of America. So am I. The reality is we have more means than the early church did, more technology, more ability, in some ways more knowledge (Unfortunately, we don’t have people with firsthand experience of the resurrection of Jesus so much and the culture is different), etc. The church had far far less at the start and overcame the Roman Empire. If we don’t do so much with what we have been given, we will be held accountable to Almighty God. Let any reader choose the way they will go forward. I’ve already chosen how I’m going to fight this battle. I see the apologetics ministry as absolutely necessary for reclaiming our world for Christ. I do not see snake handling at all that way, and in fact see it as a detriment. If you want to defend it, by all means go ahead, but you have also in fact made a judgment about God. I just ask that you seek to see if you are right, because the greatest judge of all will not be mocked or fooled.